After too many years of getting close to creative departments, and desperately wanting to be on their team, I finally enrolled in the Graphic Design program at Madison College. Up until this point, a good portion of my free time was spent creating or doodling but I never made that professional leap. With 6+ years of agency experience under my belt in every department but creative (seriously) and a B.A. in Communication Studies from the University of Michigan, this program was a perfect fit. 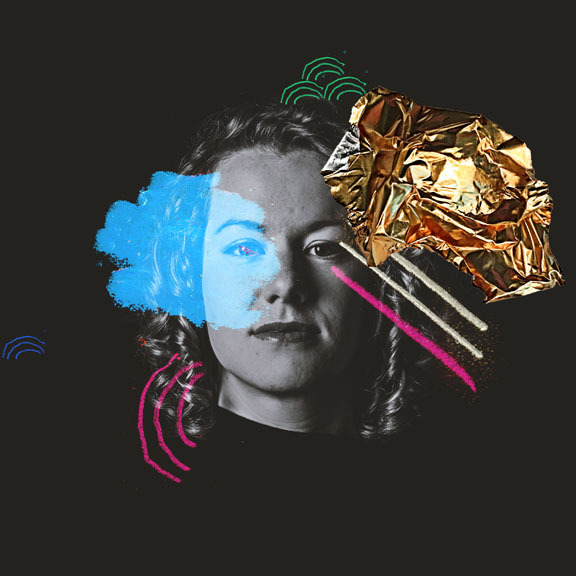 I could foster my artistic skills in an inspiring environment and utilize my professional and educational background for a unique creative perspective. In the wild, I can often be found running/biking/canoeing (rarely all at once), taste testing sweet potato fries, running my photography business and making soap the ol’ fashioned way. Group Health Cooperative is one of the only healthcare providers in the state of Wisconsin to offer complementary medicine to complement conventional medicine with alternative therapies. Healthcare is rarely seen as exciting, and never hip. 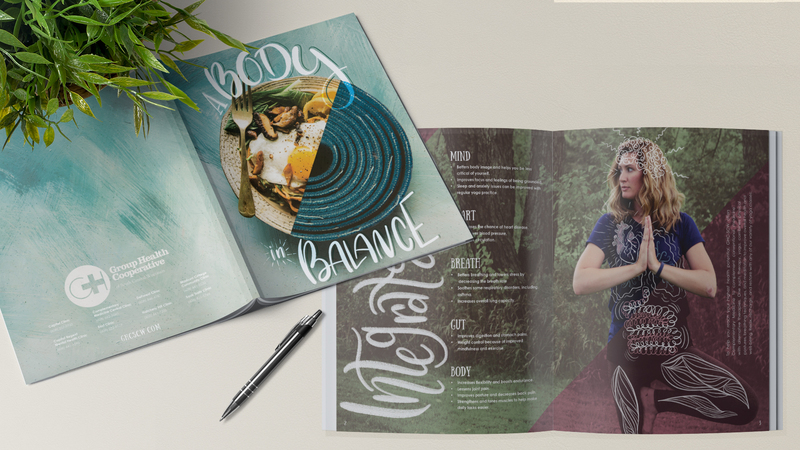 Combining an editorial layout with illustration and hand lettering, this brochure is intended to catch wandering eyes in waiting rooms and educate patients about their benefits. A reimagining of the classic Coen brothers film, O Brother, Where Art Thou, in the style of the iconic designer Saul Bass. All illustrations were completed with a combination of cut paper and vector illustrations. Octopi brewing is one of the fastest growing contract breweries in the country, with three in-house breweries that push the limits of beer. However, their current website doesn’t reflect their energy and growth. Through a limited color palette, layered imagery and clean type, this website redesign reflects the company’s potential. 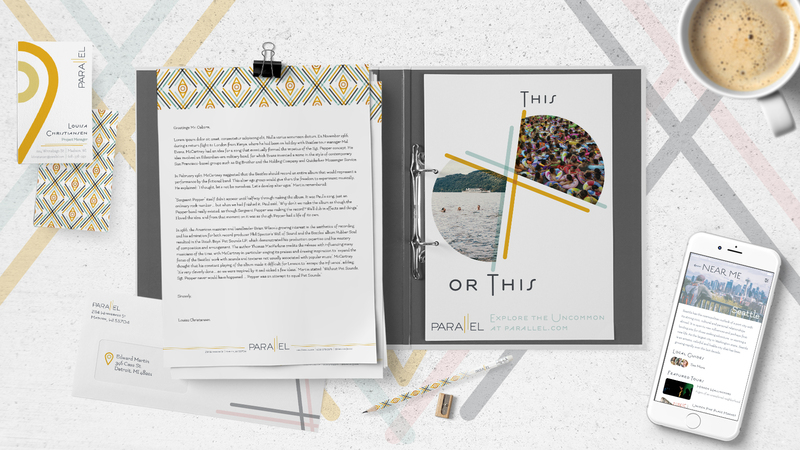 Parallel Guide Services is driven by the desire for authentic travel experiences free from mass-produced guidebooks, bad food and tourist traps. Travel is more than rudimentarily checking off sights, posting #humblebrag selfies and a nose buried in paper maps. It’s about going where the locals go, exploration and perfectly unique experiences. This app helps pair up travelers to locals with parallel interests, be it sipping coffee in a bookshop to running an impromptu marathon. We’ll give you the guide to go off the beaten path. 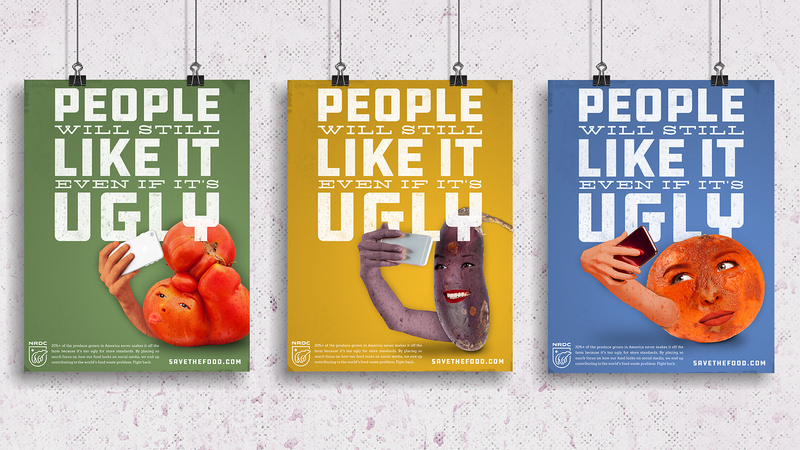 A public service advertising campaign to educate consumers about food waste in America that’s driven by the rise of “camera cuisine.” 20%+ of the produce grown in America never makes it off the farm because it’s deemed to be “too ugly,” a misconception that’s perpetuated through social media.